A humorous yet informed view of the African safari experience is evoked in Rick Boyer's foray into creative nonfiction. 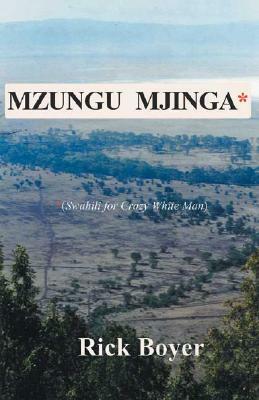 An autobiographical look at the myth of the Great White Hunter, this tale provides an insightful look into the meeting of two cultures that has become big business--the safari as a subculture within Africa's vast expanse of uninhabited land. Providing a broader understanding of the environment and politics of Africa, the self-deprecating tale presents a keen depiction of the African landscape and the people met on the way to a final showdown with a Cape buffalo. Description: Ex-library copy with the usual stamps and markings. Interior pages clean and unmarked; tight binding. 202 pages.